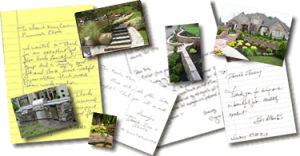 Forever Young Landscaping » They were fast, courteous, and finished in two days! They were fast, courteous, and finished in two days! I would like to recommended Forever Young Landscaping. I had water coming in my basement from where I wasn’t sure. I got a hold of Forever Young and asked for an appointment. I received a call-back soon and set up an call. My problem was diagnosed in a few minutes and I OK’d the solution. I was surprised when the work crew came the next morning and got started. They were fast, courteous, and finished in two days! Cleanup was above and beyond what I expected. Great work, responsive customer service!